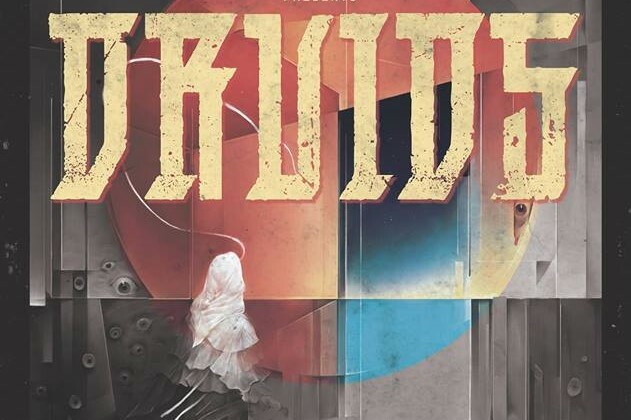 Iowa’s imposing purveyors of prog-centered stoner metal, DRUIDS, announce their new album ‘Monument‘ will arrive on April 19th, via The Company KC. Early word reveals ‘Monument‘ is a conceptually themed record, one telling a surreal story of journeys through the afterlife within its collective songs. With today’s unveiling of the album details, a new single, “Mirrors Of Trigon“, is streaming in the form of an official lyric video. Along with it, we are also including the previously shared track, “The Whip“. “‘Mirrors Of Trigon’ was definitely the most fun song on Monument to write. We kept coming up with riffs and grooves that we wanted to throw into a song, without making it feel like a nine-minute long song. Keeping things moving and having a solid arrangement were the biggest challenges. DRUIDS ‘Monument‘ will be available on CD, LP, and digital on April 19th, from The Company KC; pre-order is active now at this LINK.